Your options for cashing U.S. savings bonds depend on the type of bond you own. Choices may include cashing them online through the federal government, doing so in person at a local bank or credit union, or by mailing the bonds to a Federal Reserve Bank. If you run into problems, you can call the Federal Reserve Bank of Minneapolis, toll-free, at 1-800-553-2663. If you currently hold US savings bonds and are attempting to cash them in, you can do so using at a banking institution or even the US Postal Service. Online resources are also available. The U.S. government maintains a website at TreasuryDirect.gov dedicated to providing information on savings bonds, including how to purchase and how to cash the bonds. All forms of savings bonds -- E, EE, H, HH, and I -- can be cashed through electronic transactions at the Treasury Retail Securities Site. Moreover, I bonds can only be cashed through this online portal as they are not issued in paper form. Many banks and financial institutions cash E and EE savings bonds. The U.S. Treasury Department suggests that bond owners contact the bank or financial institution prior to visiting to see what the requirements are, including the forms of identification needed and any accompanying documents they may require to cash the bonds. Some institutions that cash savings bonds for individuals who are not account holders place a limit on the dollar amount of the transaction. 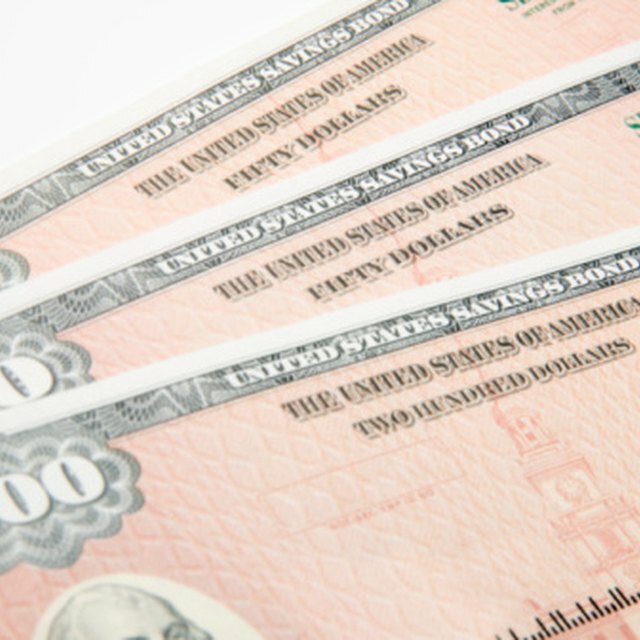 It is important to note that U.S. savings bonds are meant to be held to maturity. Bonds issued after February 2003 must be held for a minimum of six months before redeeming. In addition, if you hold an E, EE or I bond for less than five years, you will lose three months of interest. Sign the back of the bond and send it along with a completed Direct Deposit Sign-up Form. The cash value will be transferred via direct deposit into the bank account you specify on the form. H savings bonds were last issued in 1979, and all have matured. HH bonds were last issued in 2004 and may still be earning interest. The government issued these bonds only in paper form but you cannot cash them at your local bank or any other financial institution. Instead, H and HH savings bonds must be cashed through the federal government's Treasury Retail Securities Site, and the money collected through a direct deposit into your checking or savings account. TreasuryDirect states that your bank can help with the process by certifying your signature and by downloading and completing the instructions form for direct deposit to your account.